Even if you ignore the ubiquitous Gibson guitar model named after him, there are still thousands of fascinating stories behind the one-and-only Les Paul. As Karen Hogg discovers in her interview with the jazz guitar legend, Paul, now aged 93, has led a life filled with innovation and surrounded by music legends. In this piece, remembers meeting Django Reinhardt, Charlie Christian, Chet Atkins and many others. We also get an in-depth look at the seldom seen Les Paul Recording Model guitar he plays. Fretboard Journal editor Marc Greilsamer turns in an in-depth (nearly 20 page long) profile of acoustic (and now electric) guitar pioneer Jean Larrivée. Larrivée’s story starts in Montreal, Canada and works its way to Vancouver, Southern California and the wilds of India, China and elsewhere. 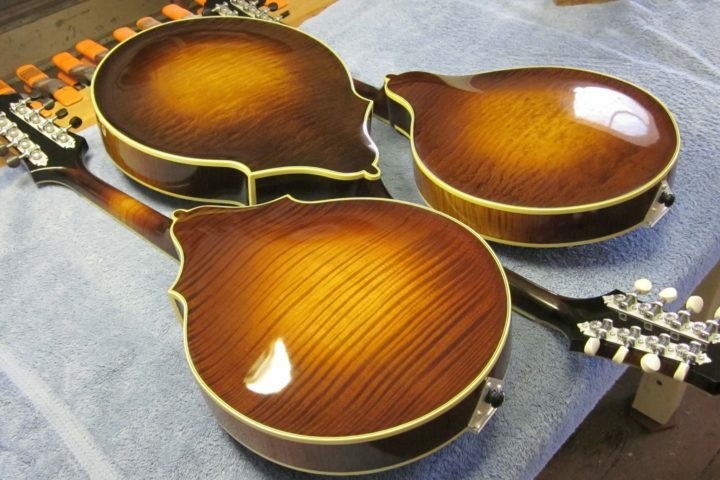 It’s safe to say that if Jean Larrivée isn’t building a guitar, he’s on his way to some exotic locale where he can find new wood for more guitars. New photos by Branden Aroyan show the Larrivée factory in Oxnard, California. 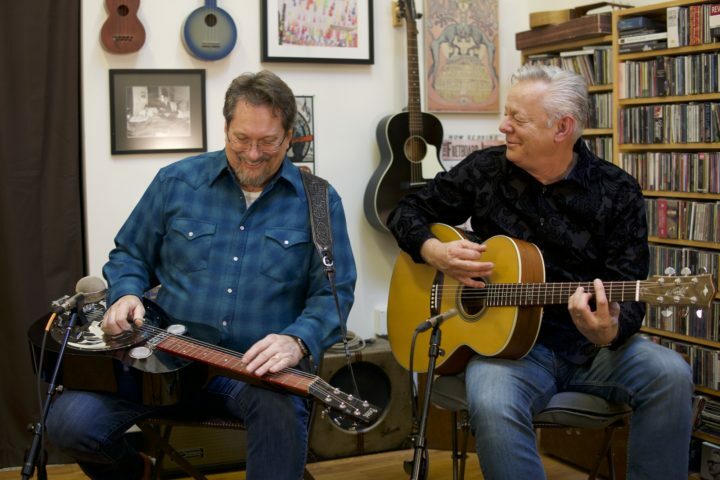 Jerry Douglas can remember the exact day in 1963 when he decided to become a Dobro player. Nowadays, he’s widely regarded as the world’s best player of that instrument. His career highlights are numerous: he’s performed with Alison Krauss and Union Station, he’s appeared on well over a thousand albums as a session musician and he’s garnered 12 Grammy Awards (to date). Writer Peter Cronin interviews the Dobro deity about all of the above, the gear he’s accumulated and his music heroes. Photographer Thomas Petillo takes all-new photos of Douglas’ numerous guitars. 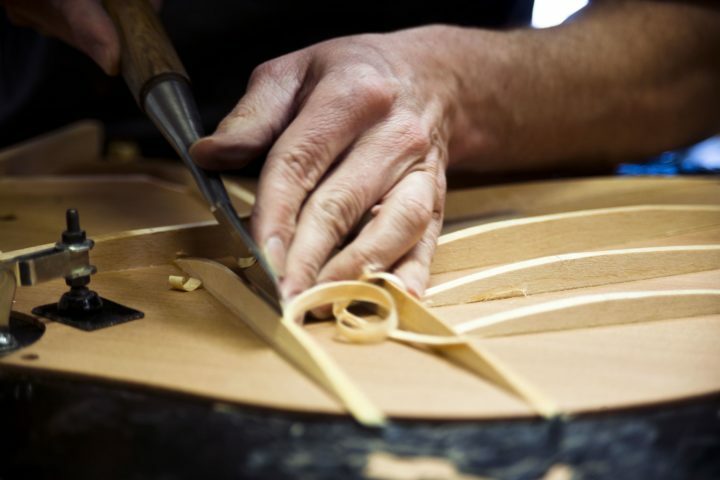 There is no ukulele company with a history quite as storied as that of Kamaka Ukuleles. Since 1916, the family-run enterprise has been hand crafting some of the most coveted ukes in the world from their Honolulu headquarters. Writer Leonard Gotliffe interviews Fred Kamaka, Jr. and Chris Kamaka on the evolution of their famed company while photographer Patrick Ford gives us a look inside the factory. Riders in the Sky’s Doug “Ranger Doug” Green may very well have the finest collections of Stromberg archtop guitars known to mankind. Writer Craig Havighurst talks to Ranger Doug about why he loves (and still gigs with) these unique, ultra-collectible jazz guitars. Photographer Bill Steber takes up close pictures of a handful of Doug’s finest specimens.